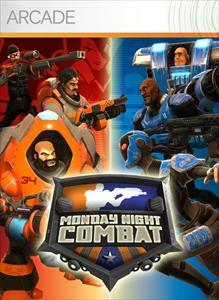 Spunky Cola Special DLC: The first DLC for Monday Night Combat that is completely free. Play Crossfire mode online in the new Spunky Cola Arena. Bring yourself and your closest friends into the new Super Sudden Death Blitz mode played in the amazing Suvivitol Arena. This DLC also features expanded private match options, updates to existing arenas, and many more features to make your Monday Night Combat gaming even better. Spunky Cola Special now with more arenas, more ProTags, more explosions, more awesome and churros!